The Ministry of Labour and Employment and the Ministry of Rural Development have made ‘Aadhaar’ mandatory for members and pensioners of the Employees’ Pension Scheme and for those registered under the Mahatma Gandhi National Rural Employment Guarantee (MGNREGA) Scheme. The notification also states that those members and pensioners of the Employees’ Pension Scheme who is not yet enrolled for Aadhaar shall be required to make an application for Aadhaar enrolment by 31st January, 2017. Till the time Aadhaar is assigned to the said member, the employees can avail the benefit by furnishing documents Voter ID and a copy of the request made for Aadhaar enrolment. 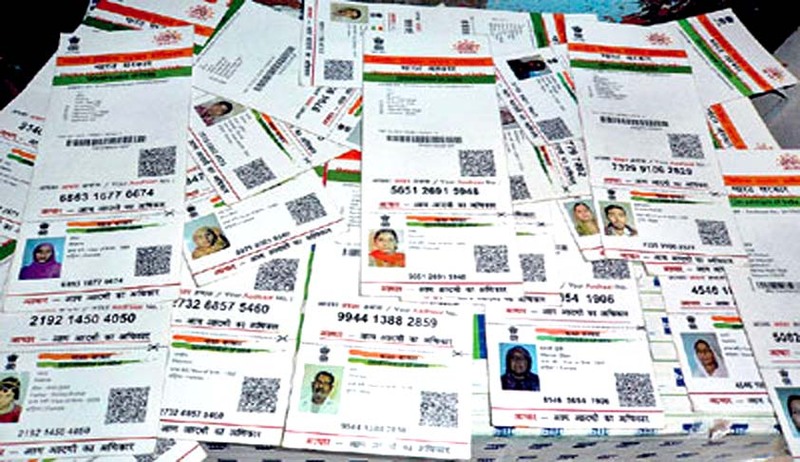 The Ministry of Rural Development has also required those registered under the Mahatma Gandhi NREGA to furnish proof of possession of Aadhaar or undergo Aadhaar authentication. “Any individual registered under the Mahatma Gandhi NREGA, who is not yet enrolled for Aadhaar, shall have to apply for Aadhaar enrolment by 31st March, 2017”, the notification read. Departments concerned have also been directed to give wide publicity through media and individual notices shall be given to applicants or beneficiaries to make them aware of the requirement of Aadhaar to work under the Mahatma Gandhi NREGA and for the purpose of availing the Central Government’s contribution and subsidy under the aforesaid Employees’ Pension Scheme.